Are you familiar with the Experience Profile in Sitecore? This is a phenomenal tool for Marketers that have audacious goals for their organization. The Sitecore marketing team talks about the Experience Profile as such, “Data-driven marketers who want a 360-degree view of their customer’s interaction with all digital channels over time and in real-time will find just that in the Sitecore Experience Profile”. If you have never taken a good look at what is possible with the Experience Profile, check it out! In this example using a typical model of a 1 CM (Content Management Server) with 2 CD (Content Delivery Server) environment, the CD server/s will be delivering customer experience data to MongoDB during the customer session/s. When the session/s ends, typically after 20 minutes (unless set to end earlier) then the data gets flushed using the xDB Processing Server/s. If you have not setup the xDB Processing Server/s on a standalone server then the processing will happen on Content Management server. The processing will take this data and migrate it to your Reporting database, where it will reside, and then be indexed, for performance reasons, by the Sitecore_Analytics_Index for use in the Experience Profile. Check the logs using Sitecore Log Analyzer on the Sitecore Marketplace, and see if you have any Mongo connection errors. Connectivity may either have been disrupted or never configured properly. If you are using SOLR look for SOLR errors relating to the Sitecore_Analytics_Index as well. Ensure you have MongoDB connectivity by using RoboMongo to ensure that data is truly being collected in the collections. Check the Reporting database tables to see if there is any data being collected. If not, then the xDB processing may not be working for some reason OR you have a connection string missing or incorrect to the Reporting database. Ensure if you are using SOLR that your cores are setup correctly along with configsets particularly for Sitecore_Analytics_Index. Check the Sitecore_Analytics_Index for any indexed records. More than likely you will see no records. If you went through 1-4 and the data is all there, but still don’t have any records in your Sitecore_Analytics_Index then you are now looking at rebuilding your reporting database. But wait, why don’t we just rebuild the index for the SItecore_Analytics_Index? Good question! 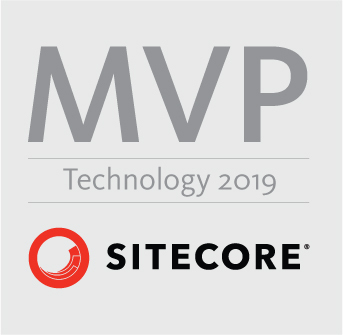 Adam Conn explains this in his blog post, but we cannot manually do this, as it is done behind the scenes in Sitecore. There is a workaround to get the Sitecore_Analyics_Index to show up with the rest in the Select Search Index dialog box, but it can be problematic as Adam shows in his post. Now is when the Rebuild Reporting Database tool comes to the rescue. When you rebuild the reporting database you also then set the Sitecore_Analytics_Index to be re-indexed through this process. When you run this tool you will rebuild the reporting database thereby re-indexing the Sitecore_Analytics_Index. At this point, you should start seeing data flow into the Experience Profile. Happy coding! This entry was posted in Did you know... and tagged experience profile, rebuild reporting database, sitecore, SOLR on May 11, 2017 by Toby Gutierrez.